The 412th Medical Group took the Intramural Soccer Championship. 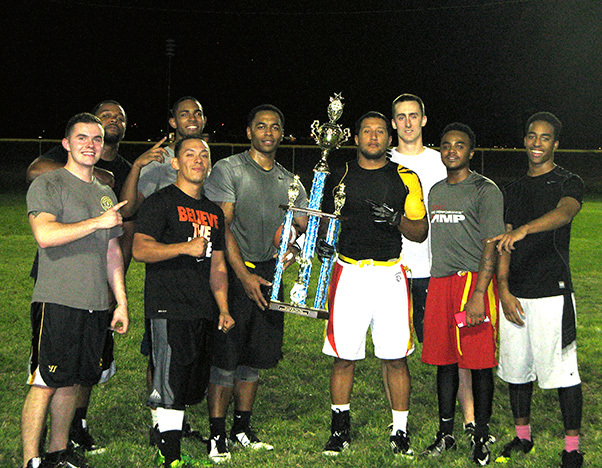 The number one seed in Intramural Flag Football, the 412th Medical Group, and the number two seeded 412th Security Forces Squadron, met in the championship game Oct. 21. 412th MDG, led by coaches Staff Sgt. Milo Otis and Senior Airman Andrew Travis, took an early lead thanks to some great catches by player’s pool pick-up Airman 1st Class Antonio McClay. However, 412th SFS tied the game up at the end of the first half, 6-6. The 412th MDG came out to score two more times in the second half. Again, 412th SFS came back and scored and then scored again in the last couple minutes of the half thanks to the quarterback skills of Senior Airman Quadri Carter and the speed and size of Tech. Sgt. Cameron Freeman. With 412th MDG up 19 -18 due to an extra point they had converted earlier, 412th SFS went for the tie. As Carter stepped back to look for someone to throw the ball to, 412th MDG’s player’s pool pick-up, Wilmer Pineda, came out of nowhere and pulled Carter’s flag and saved the game for 412th MDG. After one kneel down, the Desert Medics won the exciting game 19 -18. 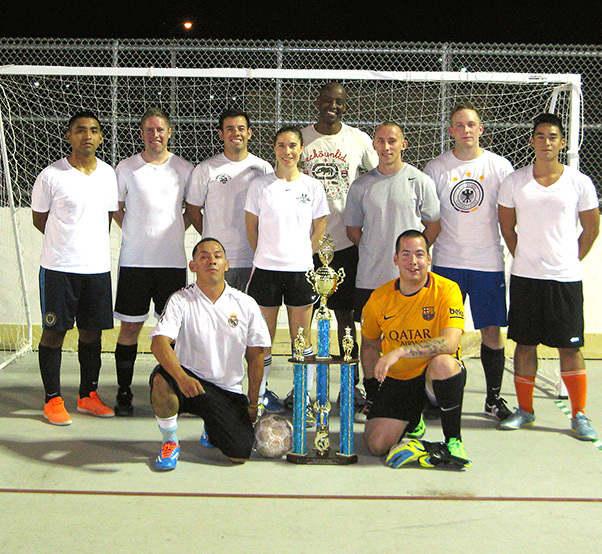 The 412th MDG also wrapped up the Intramural Soccer Championship, also played against 412th SFS Oct. 22. 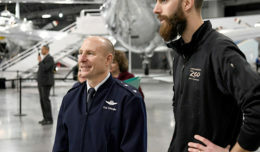 The 412th MDG came into the playoffs as the number one seed and 412th SFS as the number three seed. 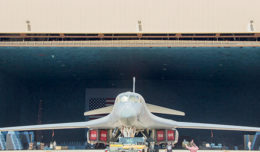 During the semi-finals, 412th SFS upset No. 17 Squadron of the Royal Air Force 10-4 to make it to the championship game. The 412th MDG, led by coaches Senior Airman Adam Ayala and 1st Lt. Michael Estacion, took an early lead thanks in part to two goals by Capt.Sarah Thomas. After MDG’s quick start, SFS came back and scored quickly with coach Senior Airman John Lopez leading the way. The game remained close throughout the second half until 412th SFS took a one goal lead with only minutes remaining in the game. It seemed as if the game was over when player’s pool pick-up for MDG, Staff Sgt. Dennis Franske, scored a quick goal to tie the game and the MDG quickly scored again to win another exciting game 6-5.